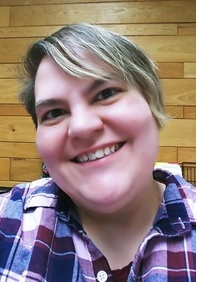 Mosinee native Bonnie Cortright has been hired as the new inside sales coordinator at the DigiCOPY corporate office in Stevens Point. Cortright will work on behalf of co-workers in all eight locations across Wisconsin, according to a news release from the company. Cortright, who began her new role on Feb. 1, is no stranger to DigiCOPY. For the past four years, she worked as the on-site supervisor at Liberty Mutual in Wausau, where DigiCOPY managed the on-campus print shop. Previously, Cortright spent 10 years at OfficeMax, climbing to the position of Customer Service Manager. Cortright’s duties include lead generation for the DigiCOPY sales team, maintaining the customer/prospect database, specialty product ordering, monthly service quality calls to customers, supporting account representatives and customer service representatives and coordinating all web communication. Cortright considers herself a “creative soul”. Her hobbies include reading, watching TV and movies, baking, crocheting, sewing, scrapbooking, camping and playing games and hanging out with family and friends.